A number of car rental agencies, taxi companies, and bus and shuttle options make transportation in Big Sky easy. The best way to get to and around Big Sky is to fly into Bozeman and rent a car or take an airport shuttle. Your other option is to fly into the small West Yellowstone Airport, open from June 1st-September 30th. From Bozeman, take US-191 South through breathtaking Gallatin Canyon. The road follows the meandering Gallatin River for about 30 miles, making for stunning river and canyon views. Turn Right at US-64 for Big Sky where the Meadow Village is just two miles down the road. From West Yellowstone, take US-191 North for 50 miles, turning left at US-64 for Big Sky. The closest year-round airport to Big Sky is Bozeman Yellowstone International Airport (aka Gallatin Field) in Bozeman (airport symbol BZN). It’s an easy and beautiful hour-and-fifteen-minute drive away and serves Delta, Frontier, United, Allegiant, and Horizon Air. You can also choose to fly into the much smaller West Yellowstone Airport (WYS), open June 1st-September 30th. The airport is a 45-minute drive south from Big Sky and serves SkyWest and Delta out of Salt Lake City. If you’re planning on exploring the Big Sky area, it’s best to rent a car. 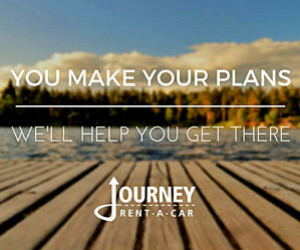 Major car rental companies can be found in both the Bozeman and West Yellowstone markets. If you’re planning on sticking to the ski mountain in Big Sky, try Karst Stage or Skyline Bus for transportation between Bozeman and Big Sky. Once you are in Big Sky, the Skyline bus offers free and convenient service within the Canyon, Meadow Village, Town Center, and the Mountain Village.